Walking on stage to a standing ovation, Dave Chappelle announced that his comeback is not going well. Beginning his one-hour show by addressing TMZ reports of his "erratic" behaviour at a recent Detroit show, and recounting the strange incident when a banana peel was thrown at him in Santa Fe, he almost convinced the crowd that his career was in the dumps. One of this generation's most beloved comedians, Chappelle is such a compelling performer that he makes you believe every word he says. Even when you're sitting in a 1,500 seat hall, where he is performing the first of his nearly sold-out ten-show run at one of North America's premiere comedy festivals. True, Chappelle may not yet have regained the pop-culture ubiquity he attained ten years ago, when his impersonations of Lil Jon and Rick James on Comedy Central's Chappelle's Show made him one of the biggest comics of the decade. His sketch show's razor-sharp satirical takes on race in America crowned him as the greatest comedic voice of the hip-hop generation, and the two seasons of Chappelle's Show remain the highest-selling DVDs for a regular television series ever. The headlines following his sudden departure from the show in 2005 and his subsequent retreat from public life were so notorious that they might still be overshadowing his comeback. But he's back on stage, and has been for a few years now. This is his second run of ten shows at Just For Laughs alone. In the early, comfortably loose part of his first of two Monday night sets, Chappelle riffed on Canada in his signature drawl to massive appreciation from the crowd. Recalling his last visit to the city in 2013, he mentioned the notorious theft of two tons of maple syrup, imagining an illicit cartel of pushers at Waffle Houses down the Eastern Seaboard ("That pancake's looking a little dry, bro"). From there he turned to current events, laughing that El Chapo would love all the tunnels in Montreal. This also led to one of the biggest laughs of the night, referring to his own past. Citing the reported five million dollar cost of El Chapo's escape, Chappelle shook his head. "It does not cost that much to escape from jail in Mexico. It's probably harder to escape from Comedy Central than from prison in Mexico." Chappelle loves taking risks on new material, like a trapeze artist without a net, and no one enjoys it more than he does when it works. Whenever he cracks himself up, which is often — like after a joke about Obama being the first American President to visit a prison ("He was black, so he was going to end up in one at some point") — he slaps his knees and shuffles sideways across the stage grinning and laughing. It's infectious. 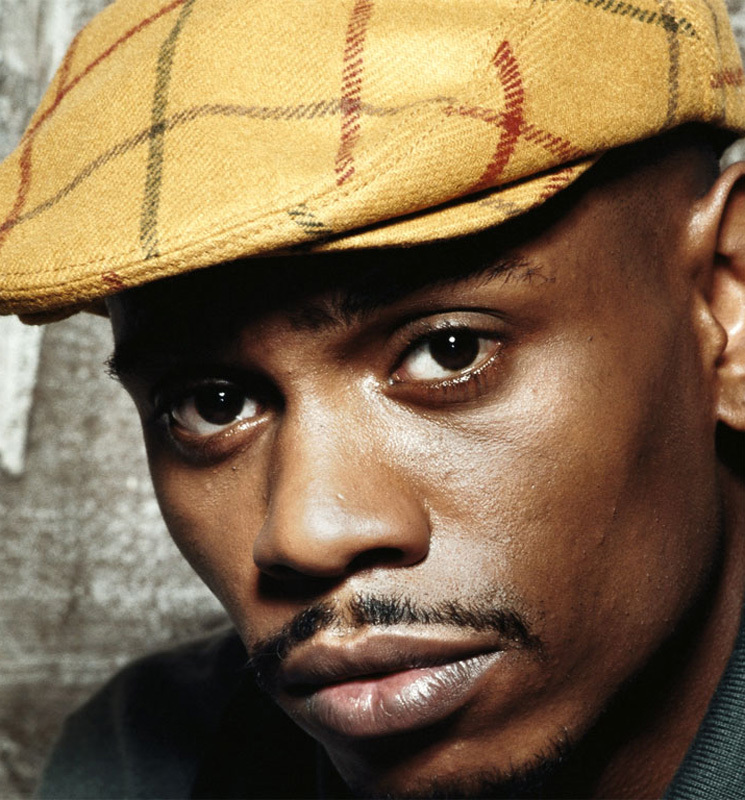 Perhaps surprisingly, Chappelle largely steered clear of race. Instead, the second half of his act was devoted to the absurd banalities of marriage and family life, offering anecdotes about the first night his wife-to-be slept over at his apartment, and how, over the years, she has trained him not to eat his sons' packed lunches when he is hungry for a midnight snack. One of the most human moments in the set came near the end of the show, in a series of jokes about the snack-obsessed dog his wife gave him. It is impossible to imagine Dave Chappelle at the height of his fame, when he was performing as crackhead Tyrone Biggums or the black blind white supremacist Clayton Bigsby, making affectionate jokes about man's best friend. While his work on Chappelle's Show sent up celebrity culture and racial stereotypes, Chappelle's new material comes from a different place, somewhere closer to his own everyday life. But although the topics have changed, he still retains his brilliant, incisive perspective. Moving confidently around the stage with the mic in one hand and cigarette in the other, Chappelle is a masterful performer with perfect timing and delivery, and the audience ate up every word.